Welcome to Carter Glen, a beautiful gated community surrounded by conservation. You'll love to call this property home. 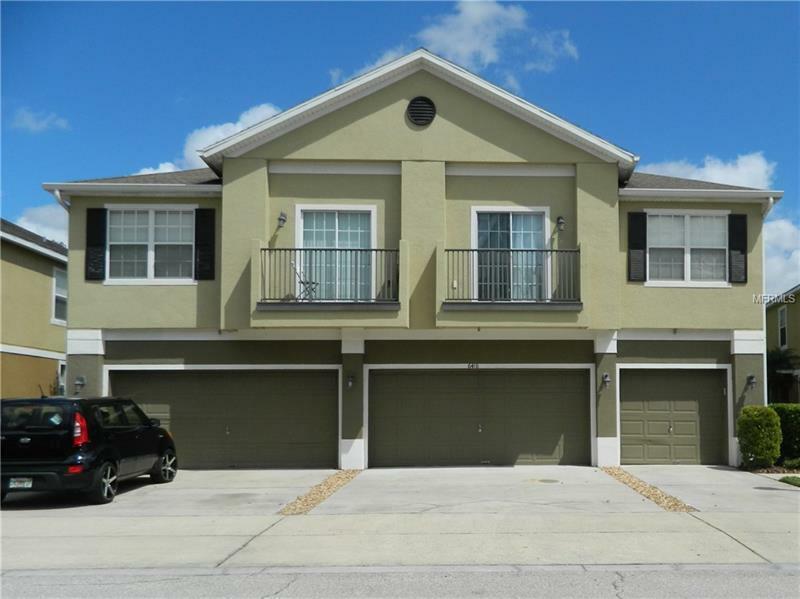 This 3 bedroom 2.5 bath townhome has high ceilings and and is flooded with natural light from the large windows and sliding doors in the Living/Dining area. Easy to maintain ceramic tile flooring throughout the first floor as well as indoor laundry room with full size washer and dryer and a two car garage with opener. Stainless steel appliances and closet pantry in the spacious kitchen. A breakfast bar opens to a view of the living area. Reading/office nook just off the living room along with a half bath. Upstairs you'll find a master suite to relax and unwind. Master bathroom has double sink vanity with plenty of counter and storage space as well as a step in shower and linen closet. Second floor has vaulted ceilings, two guest bedrooms, a large guest bath and more storage. Zoned for top rated schools. Carter Glen offers a community pool, clubhouse, fitness center, playground, walking trails and picnic area all with water views. Minutes from Lee Vista Promenade's shopping, dining and entertainment. Just a couple more minutes to the International Airport and Beachline. Lake Nona's Medical City and Innovation Way is only a few miles away as well. Make this your new home today!